The Rebel Sweetheart. 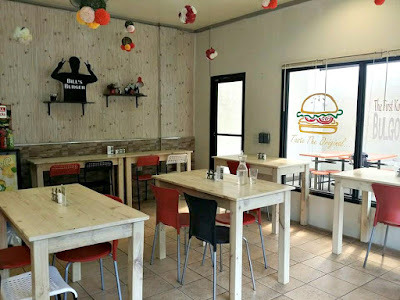 : Foodie Goodie | Bill's Bulgogi Burger. 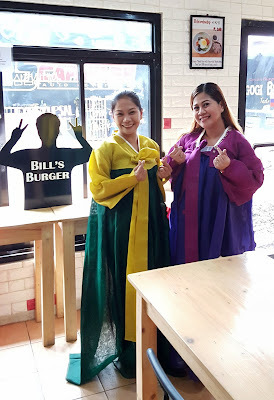 Long weekends like this are the perfect time to go on a food trip, and the other day, my friends and I did just that when we visited Bill's Bulgogi Burger. 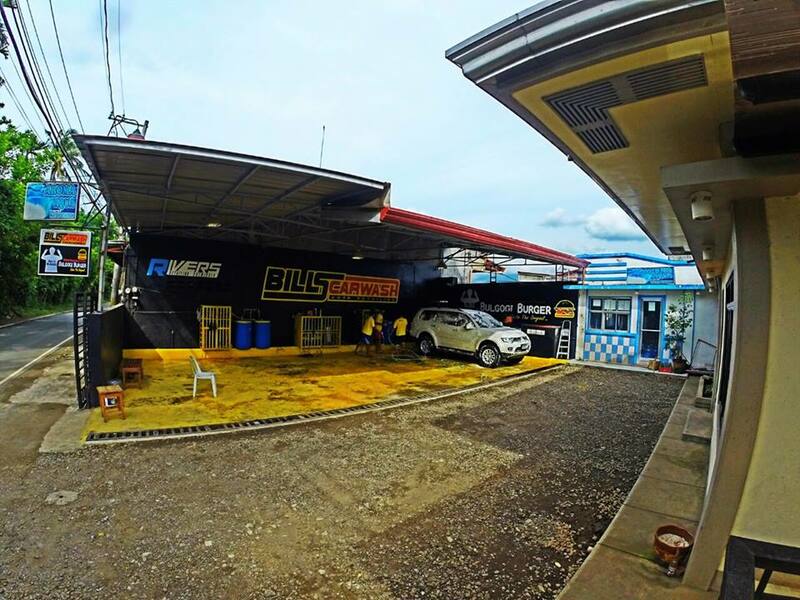 Located a few hundred meters away from the national highway, Bill's Bulgogi Burger is owned by Mr. Hwang Sang Won (more popularly known as 'Bill'), who also owns the car wash adjacent to it. Bill does most of the kitchen work, together with his Filipino wife, Lea. Bill's menu features traditional Korean food such as samgyeopsal (grilled pork belly), japchae (stir fried noodles), bibimbap (mixed rice), and gimbap (rice rolls). 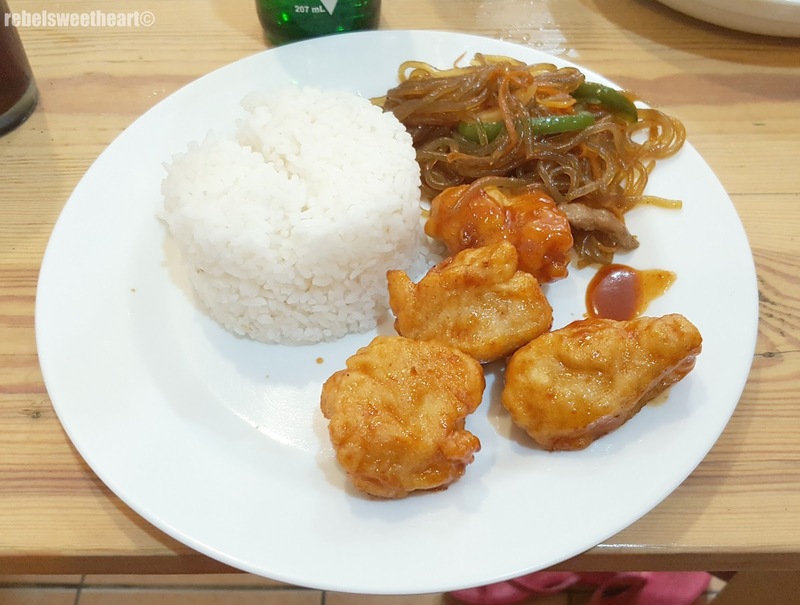 They also serve Korean fusion dishes such as curry rice, buffalo wings, bulgogi nachos, and the bulgogi burger from which this restaurant started. Ironically, none of us ordered the bulgogi burger because we all wanted to eat something with rice. Jaymee tries on a hanbok. Now here's what we ordered at Bill's. For starters, we had Omelette Gimbap - rice rolls filled with egg omellete. The gimbap is tasty and sliced nicely in equal proportions. 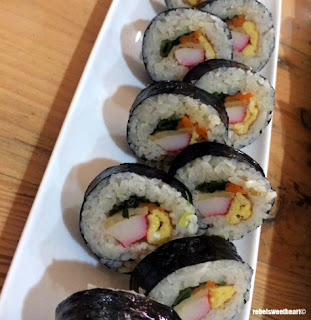 The rice, however, isn't as sticky as I expected it to be; hence, the gimbap tends to fall apart when you bite into it. We also had Bulgogi Gimbap, which came with a sweet and savory dipping sauce. Personally, I like this better than the Omelette Gimbap. However, this dish was served way too late (we were almost done eating when this came to our table) and all of us were too full to finish the entire roll. 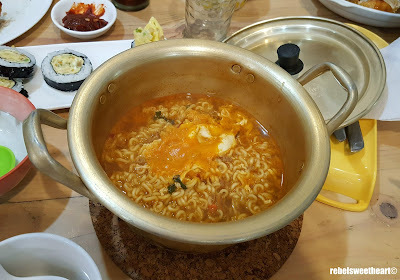 Aiz was also in the mood for ramyeon, so she ordered a serving of the Spicy Ramyeon for us to share. The ramyeon, to my amusement, was served in true Kdrama fashion - tin pot, lid, and trivet. None of us ate the noodles from the lid, though. Haha! My friends had a platter each of Bill's combo meals. 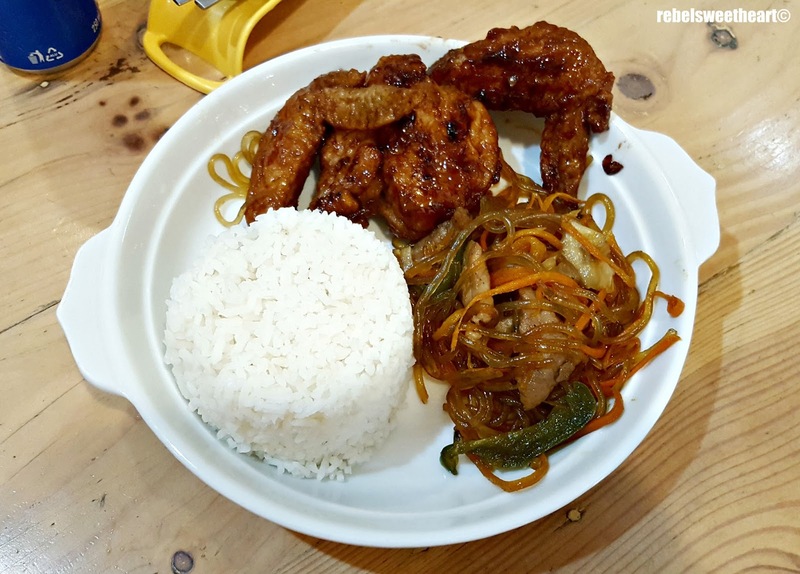 Each meal is served with rice, japchae, and an entree of your choice. Aiz had the K-Fried Chicken Platter, while the other three ladies had the Buffalo Wings Platter. Jaymee found the Buffalo Wings a bit too spicy, which isn't surprising since she has a low tolerance for spicy food. Aiz, on the contrary, ordered an extra serving of gochujang (red pepper paste) because she wanted her chicken to be spicy. 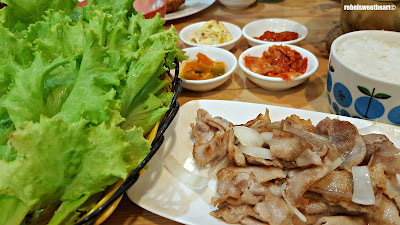 As for me, I feasted on Samgyeopsal - something I had been craving for since we got back from Korea. One thing I love about their samgyeopsal is that they're already cooked when served. While most Korean restaurants have a table-top grill to cook these meat slices with, Bill's does the grilling for you in their kitchen and keeps you and your clothes from smelling like smoke. Their mouth-watering and flavorful samgyeopsal comes with a bowl of rice, a small basket of lettuce, four varieties of banchan (side dishes), and a generous portion of ssamjang (dipping sauce). 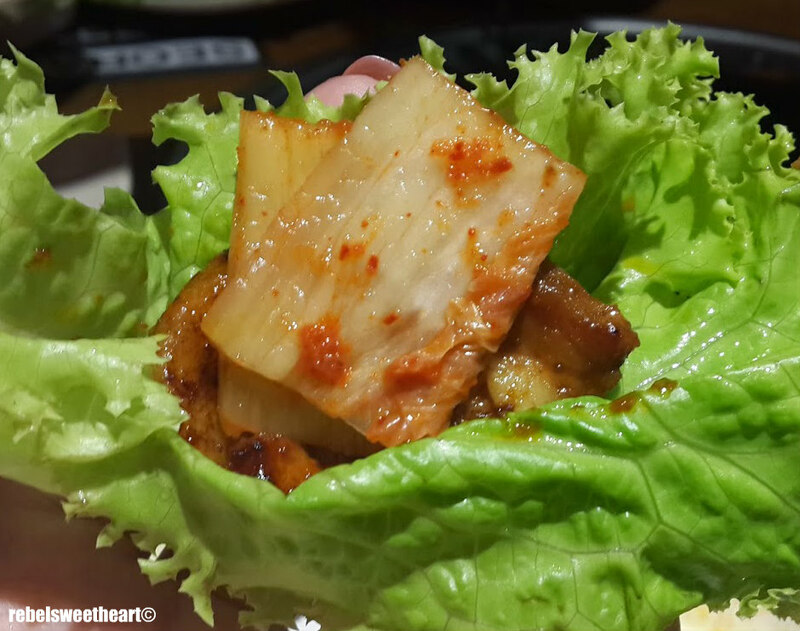 The taste reminds me of the samgyeopsal that we had the first time we came to Korea. Come to think of it, Bill's restaurant does remind me of the siktangs (diners) in our neighborhood in Seongsu-dong. From the taste to the ambiance, it's like one of those hole-in-the-wall mom and pop restaurants in Seoul that serve surprisingly good food. 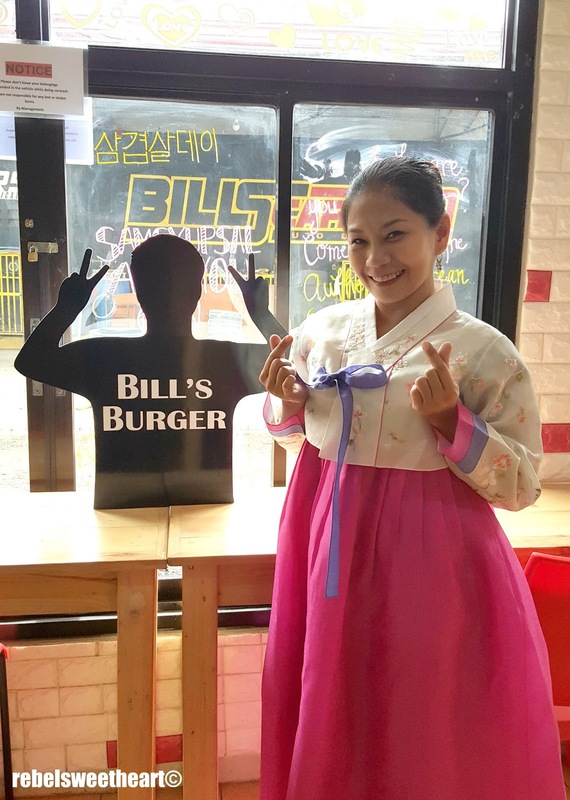 If you're in the mood for some authentic Korean cuisine, Bill's Bulgogi Burger is the place to visit! I'll definitely be coming back to try the Bulgogi Burger next time, and I'll be taking Yue along so he can enjoy some 'homecooked Korean fried chicken' which he absolutely loves. I love Korean cuisine and its bold flavors I bet that Bulgogi burger must be amazing now I am hungry. Great pics and suggestions too, thanks! That sounds like my kind of place! Love that you get to try on traditional costumes as well. The place is pretty cool!